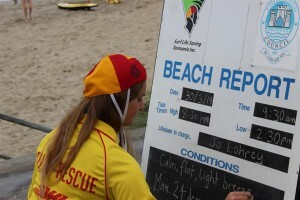 In order to become a patrolling member of Kingston Beach, it is first necessary to join the Kingston Beach SLSC. Following this process the next step is the completion of the Bronze Medallion, minimum age of 15 years, which provides members with skills and knowledge to perform their role on the beach. After gaining this award, qualified members will then be allocated to a patrol team and given patrolling hours. Patrolling members are expected to patrol the beach 5 times over the December-March period. After emailing us, we we will get back to you as soon as possible with information on how to register and become a member! To keep up to date with when Bronze Medallion courses are being run, follow our facebook page and check on our website homepage for any new course details.